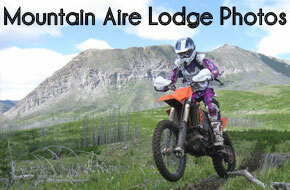 SGC News Hub - Alberta Off-Road News: Mountain Aire Lodge Photos! HUGE thanks to Lana and Doug for getting these amazing photos from HS1 Mountain Aire Lodge! Without volunteers and awesome people like these two we would not be the awesome amazing family dirtbike club we are! THANK YOU!! !